It normally takes a day or two for your AMP WordPress pages to appear in Google. 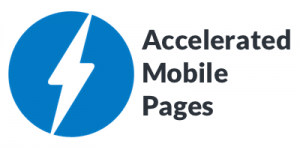 Remove Powered WordPress AMP Plugin – How to remove the powered by WordPress footer in the Accelerated Mobile Pages WordPress plugin. – The plugin authors haven’t made it easy to do this but here is the answer. You first have to create folder named amp inside your theme. (You may already have this folder.) Inside this amp folder, create a new file called footer.php. To remove “Powered by WordPress,” remove lines 4–6, or add whatever you want in there. This will ensure that Remove Powered WordPress AMP Plugin will still remain after the plugin is updated next time. WordPress Intranet – WordPress is the worlds most widely used Content Management Systems and is ideal as a cost effective, easy to use Company Intranet solution. No more waiting for your web designer to make simple updates to your site. With WordPress Web Design, you have control of nearly every aspect of your site and can easily make those simple updates yourself. Your Site Can Grow as your WordPress Company Intranet Grows – WordPress sites are very scalable. You can have hundreds of thousands of pages or blog posts on your site and the performance of the site will not be compromised in the least. GoDaddy has had lots of bad press in recent years but is still one of the big players in the hosting market. It’s a serious security risk that large hosting companies like Godaddy are running very insecure and outdated versions of PHP such as version PHP 5.3 and PHP version 5.4. They should be offering all WordPress clients the option to upgrade to PHP Version 7 which is far more secure and also much faster (which can have significant WordPress SEO benefits). Godaddy seems to be adopting an underhand sales tactic here by saying to customers that newer versions of PHP aren’t available on Web Hosting yet and if you immediately need newer versions, you have to migrate to their expensive VPS so you can install and manage your desired PHP version. 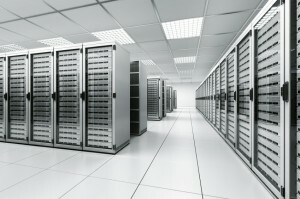 Of course Godaddy does not offer any simple migration path from web hosting to virtual private servers (VPS). PHP 5.4 stopped receiving security updates from Thursday, 03 September 2015 – almost 2 years ago! This means Godaddy are deliberately putting customers sites at risk by not providing newer versions of PHP. Using extremely outdated versions of core server applications such as PHP and MySQL needs to be called out by the WordPress and hosting community to prevent WordPress sites from being hacked. Typically of big hosting providers they have no clear complaints policy and their CEO is not listed and therefore not contactable – adding insult to injury! WordPress SSL Plugin make the move over to SSL much easier. Having your website use SSL is now more important than ever. SSL provides an extra layer of security and authentication protecting your website visitors as well as deterring unwanted intrusions. SSL is also a Google ranking factor so will also help your site search engine placement. Some hosts (e.g. Bluehost) provide SSL free to customers and this can be a nice extra incentive (not that we would recommend Bluehost). The easiest way to setup SSL is via the Really Simple SSL plugin. Once you have your SSL certificate you can activate the plugin and it does the rest for you – updating the htsccess file and WordPress settings. Contact us if you our team of WordPress Consultants to help add SSL to your WordPress website. 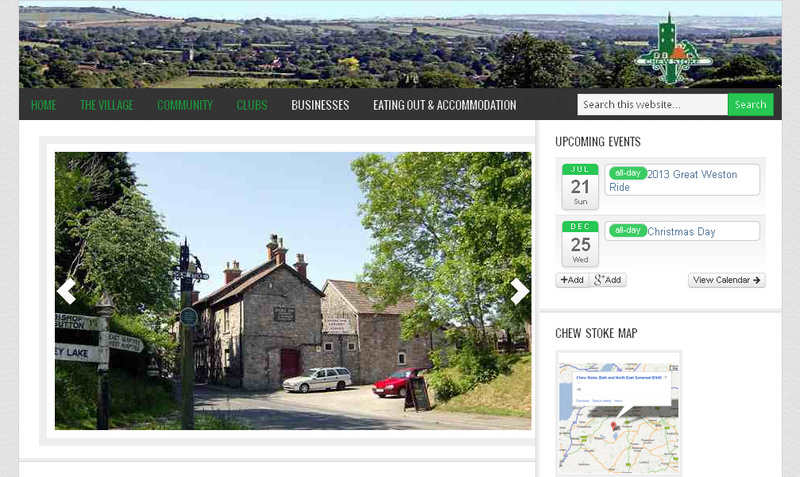 The website for Chew Stoke Parish Council in Somerset that we were commissioned to develop went live last week. In our opinion this is our best council website yet – made easier by the stunning photography scenes available in that part of this world. The site is based on a WordPress Web Design that allows the webmasters to easily update core content such as events and local news. WordPress is the ideal web publishing platform for schools and education organisations with limited budgets, quick turnaround times and the requirement to easily add new site functionality. WordPress powers more than 16% of the web, and Facebook, aspires to be the web for its more than 900 million users. So, in that context, the integration makes quite a lot of sense for both parties. However the integration is not for the in-experienced and involves a lot of terminology so we recommend clients contact us for help. Mention Facebook friends and pages. New posts will be published to the timelines of the mentioned account(s) and displayed alongside the post. Like, send, and subscribe buttons can be easily added to a post to drive social distribution with custom settings scoped to your Facebook application identifier. Facebook Comments Box social plugin including noscript fallbacks for easy indexing by search engines. Open Graph protocol integration to help your content stand out in Facebook newsfeed, Twitter Cards, Windows 8 bookmarks, and other consuming agents. Recommendations bar helps visitors discover more content on your site by recommending other articles and encouraging Like shares. WordPress continues to be the dominant CMS with a market share of 59% for Open source solutions and continues to go from strength to strength as Drupal and Joomla start to slip away. WordPress has an overall CMS Market share of 54% of all websites with a CMS and some 21% of all websites on the Internet and this is clearly continuing to grow and the scope and breadth of the solution begins to gain acceptance amongst corporate clients. To obtain these figures we have taken a sample of other surveys and then worked out a median market share. Generally the WordPress platform continues to improve with every release and is the best cms on the web. 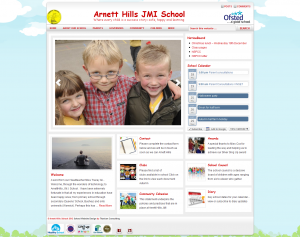 We recently completed a WordPress School Website for a primary school in the UK. 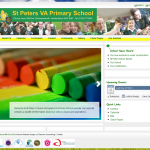 Many schools in the UK have been provided with “Dreamweaver” by their local authorities : this is a technical, inflexible and difficult to master website solution for teachers and education. WordPress overcomes these hurdles with it’s rich and easy to use functionality.